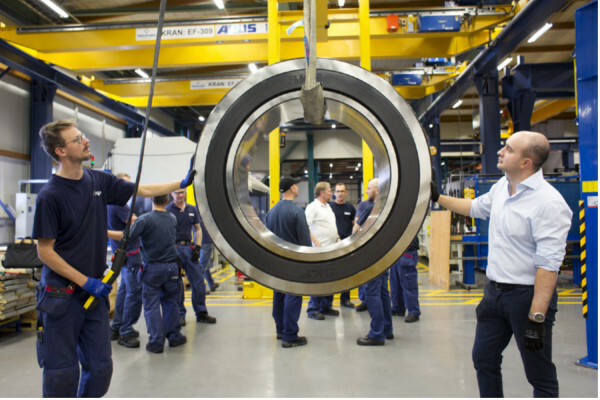 SKF’s Gothenburg factory has produced the company’s largest sealed spherical roller bearing (SRB) to date. The ‘241/900’ SRB is 50 per cent larger and three times heavier than the previous largest SKF sealed SRB. Gothenburg, Sweden, 4 October 2017: Destined for a Polysius Polycom 8 roller press at a large copper mine in Peru, the three-tonne 241/900 sealed SRB is dimensionally equivalent to a standard SKF non-sealed version, with inner diameter (bore) of 900mm, outer diameter of 1,420mm and width of 515mm. The seal itself consists of a rubber over-moulded steel plate with the same profile and offering the same characteristics as those currently used with existing SKF sealed SRBs. The customer’s sealed SRB will be fitted to a horizontal shaft and will operate in extremely dusty conditions, with very fine stone dust from both the desert location itself and the grinding processes posing a major contamination risk. The roller press is a highly loaded application (C/P of 2-3) subject to frequent shock loading; the predominantly radial loads, when coupled with the high level of contamination at the site, poses a significant risk of early bearing failure. 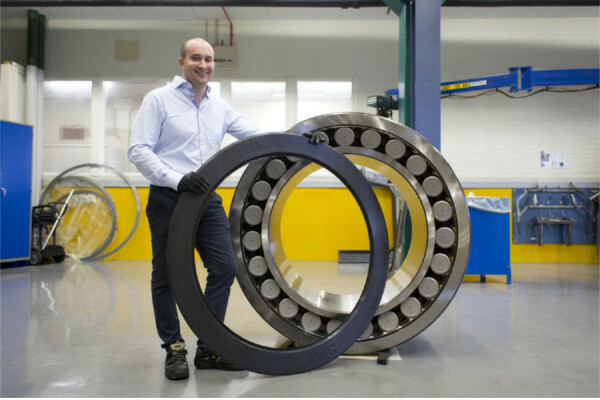 SKF’s custom made seal aims to at least double the bearing service life by reducing the risk of contamination in this application significantly. The actual performance of the seal for this size of SRB remains to be verified in service by the customer, but the same seal design used in smaller SRB sizes has achieved a service life of at least double that of an open, non-sealed bearing. 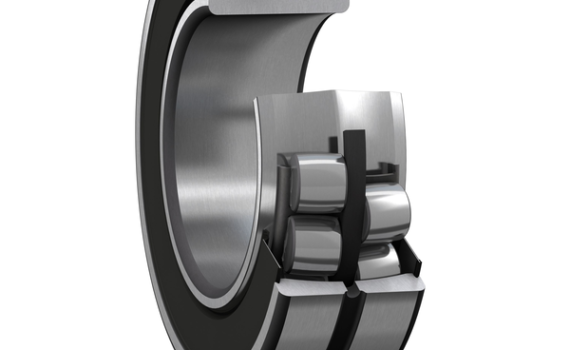 Even longer service lives of around three to five times that of a non-sealed bearing can be achieved with SKF’s ‘Three-Barrier’ bearing protection solution, which comprises premium SKF sealed SRBs housed within sealed housings containing a barrier grease. This record-breaking sealed SRB was designed and manufactured within a tight, six-month schedule by a team led by Daniel Ortega – Project Manager, Business Development.